We’ve said for a little while now that SEAL Team season 2 episode 13 was going to be essential viewing for many people out there and now we have a greater sense as to why. In the promo that CarterMatt has for you below, you can see just how Wednesday night’s new episode is going to put an enormous spotlight on the character of Sonny, whose life is on the line in a very big way going into this particular installment. You’re going to see him trapped aboard a submarine, one that just so happens to be filling up with water. While we’re certainly well aware that the Bravo team has faced a number of life-and-death situations before, this has to feel a little bit different. For starters, this is one of the more terrifying ways to die you can think of. Drowning is no joke — it’s slow, it’s painful, and there’s just a helplessness and a claustrophobia that is associated with it. Beyond all of that, we also wonder what it was like filming this episode — there had to be something quite terrifying about trying to shoot this particular episode in a confined space, even if nobody’s life was actually on the line. This still had to be intense, and there’s something about watching the end of the promo — one in which Sonny cries out for help — that is going to send a massive chill down your spine. This episode should do a good job, if nothing else, of keeping you own your toes and helping you realize entering the upcoming hiatus precisely what SEAL Team does so well. 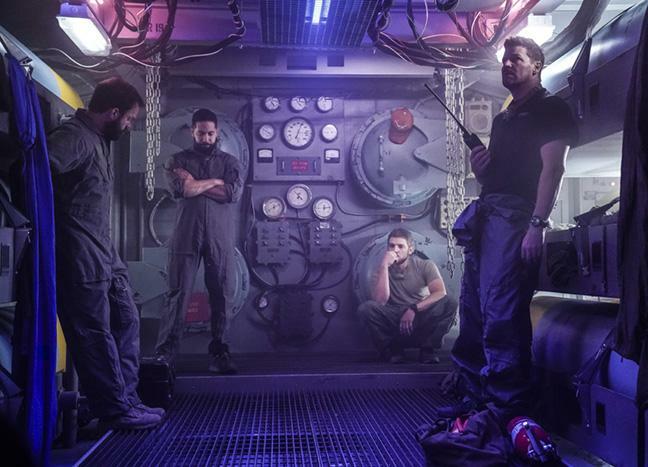 There are few mission-based shows on TV quite like it at the moment, especially when you think about shows that are trying to offer up some sort of peek into military life. These sort of events are what real SEAL Team members go through, and sometimes, they aren’t so lucky as to get out of all of them alive. Sonny’s had a rather fascinating season so far, both in terms of missions, being there for Jason, and his romantic life. Odds are, almost drowning is not something that he was looking to put on his memory board — yet, here we are. At least Sonny’s going to have a lot of people around him for support, both during this crisis and potentially after the fact. After all, he’s far from the only person to go through some sort of near-death-experience on this team. Related News – Be sure to get some other information regarding SEAL Team, including some more news on what’s coming!